The technology group Wärtsilä is strengthening its underwater-related servicing capabilities with the opening of a new diving centre facility in Fujairah, United Arab Emirates. This expansion has been undertaken by Trident, a member of the Wärtsilä Group. By expanding into a major global shipping region, Wärtsilä’s ability to serve its global customers with underwater repairs, refurbishments and maintenance will be notably enhanced. 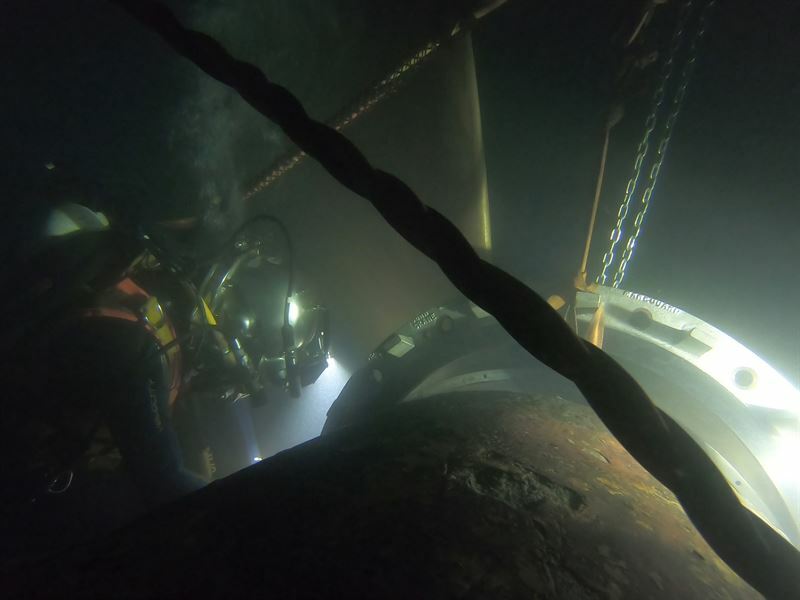 By performing this work below the waterline using fully trained diver-technicians, emergency dry docking can in many cases be avoided, thereby significantly reducing costs and avoiding interruptions to the vessel’s operations. The UAE centre became fully operational in February 2019. “Our certified technicians can perform safe, reliable, and cost-effective repairs either underwater or afloat. Furthermore, we can assess repair requirements with thorough underwater inspections by our specialist teams. This adds considerable customer value since it increases the vessel’s operational efficiency while minimizing its downtime,” says William Winters, Managing Director of Trident, a Wärtsilä Company. The Trident Group was established in 1993 and has established global recognition as a leading innovative underwater service supplier specialising in repairs, overhauls, and maintenance work. In addition to the newly added UAE facility, the company has fully equipped workshops and certified personnel in the Netherlands, Italy, and the Canary Islands. Image caption: Wärtsilä’s underwater servicing capabilities enable repairs to be made without dry-docking the vessel.